Paulist Fr. 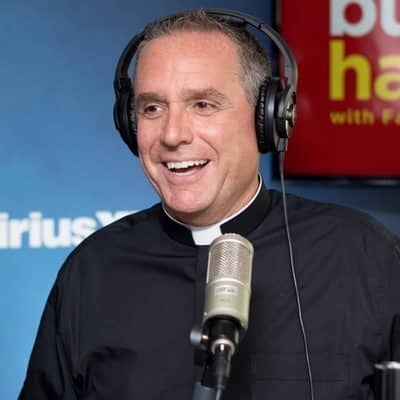 Dave Dwyer is executive director of our media ministry Busted Halo and hosts "The Busted Halo Show," a call-in radio talk show heard five nights a week on The Catholic Channel (Ch. 129) on SiriusXM. He also co-hosts the weekly program "Conversation with Cardinal Dolan" heard on The Catholic Channel and seen on multiple Catholic television stations. A native of Long Island, NY, Fr. Dave earned his B.S. in communication from Syracuse University. After college, he worked at HBO, MTV and Comedy Central, producing and directing television programs. Fr. Dave's vocation to the priesthood was stirred at World Youth Day in 1993 in Denver, CO. He entered our novitiate in the fall of 1994 and made his first promises to our community in the fall of 1995. While he was in our seminary, he earned his Master of Divinity degree from The Catholic University of America. He was ordained a priest on May 27, 2000. From 2000 to 2004, he was was a Catholic campus minister at the University of Colorado at Boulder. Fr. Dave lives at our motherhouse in New York City and often celebrates Mass at our mother church, the Church of St. Paul the Apostle. For learn more about Fr. Dave, please visit Facebook, Instagram, Twitter, YouTube, Pinterest and LinkedIn.